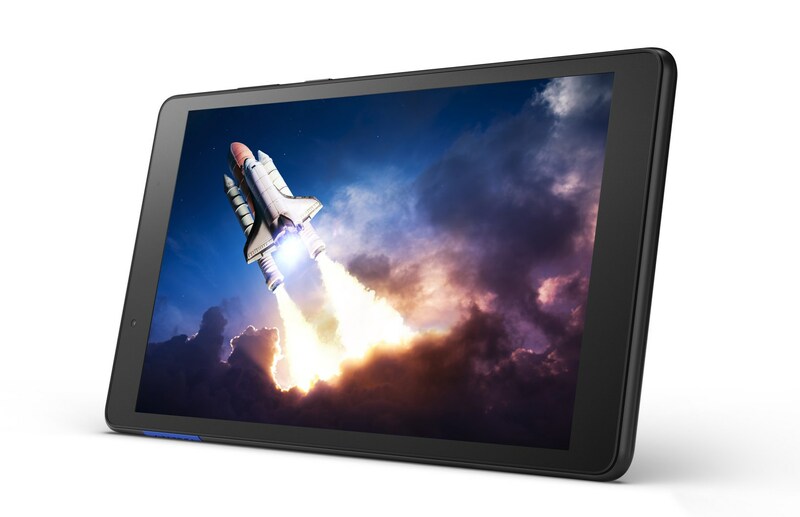 The Lenovo Tab E8 is a new entry-level tablet introduced in mid-2018 with prices starting at around 100 US Dollars. It features an 8-inch HD screen, a MediaTek quad-core processor, and GPS. Out of the box, it is running Android 7.0 Nougat. Here is everything you have to know about the Lenovo Tab E8 bevor you buy. The Lenovo Tab E8 is made out of plastic and is completely black. Well, except for a blue cover for the microSD card slot. It has a micro USB port and a standard headphone jack. The cameras have a resolution of 2 and 5 megapixels. We get an 8.9mm thin tablet that brings 320g onto the scale. Like its predecessor, the Lenovo Tab E8 offers an 8-inch IPS display that has an HD resolution with 1280 x 800 pixels. It is powered by a 1.3GHz MediaTek MT8163B quad-core chip that can access 1GB of RAM. The internal storage is up to 16GB in size. Other features include WiFi a/b/g/n, Bluetooth 4.2, and GPS. You can even listen to the radio using headphones. The battery has a capacity of 4850mAh and should last up to 10 hours. Lenovo is shipping the Tab E8 with Android 7.0 Nougat. While the Lenovo Tab E8 was announced in mid-2018, it just started to be available later that year. Prices start at around 100 US Dollars and go up to 120 Euros in Europe. It should be available almost worldwide. There are some interesting alternatives to the Lenovo Tab E8. A much cheaper and similar one is the Lenovo Tab E7. While you can save a lot of money, it is a bit smaller and has a much lower resolution screen. Still quite interesting is the Lenovo Tab4 8 which is kind of its predecessor. In fact, the internal hardware is more promising and both are running Nougat anyways. The Lenovo Tab E8 is a very inexpensive Android tablet featuring an 8-inch HD screen, a MediaTek quad-core processor, and Android 7.0 Nougat. Other specifications include GPS, a microSD card slot, and 16GB of storage.